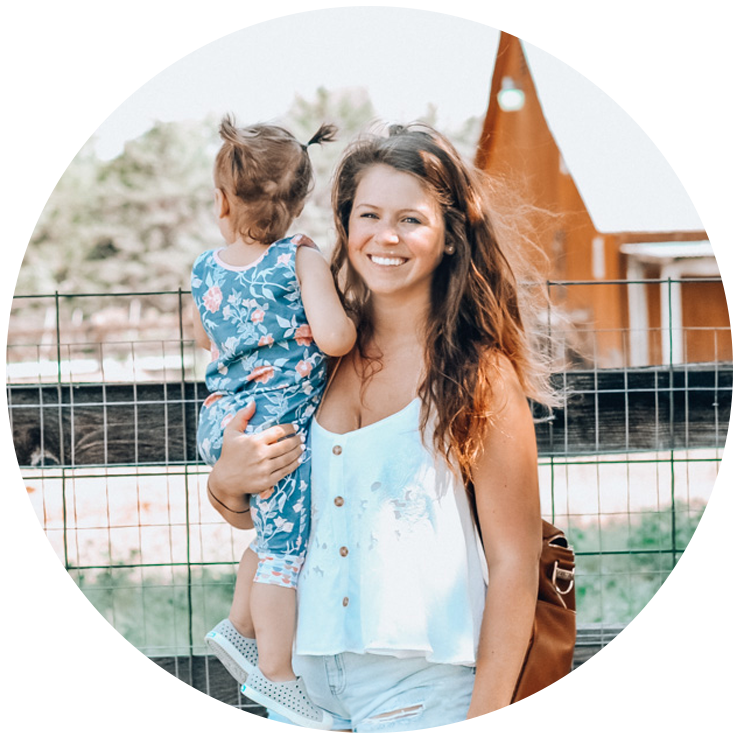 I love little adventures just like these! It’s the end of the summer, and officially the beginning of my favorite season - Fall. It’s still warm enough to spend your evenings outside without freezing when the sun goes down. 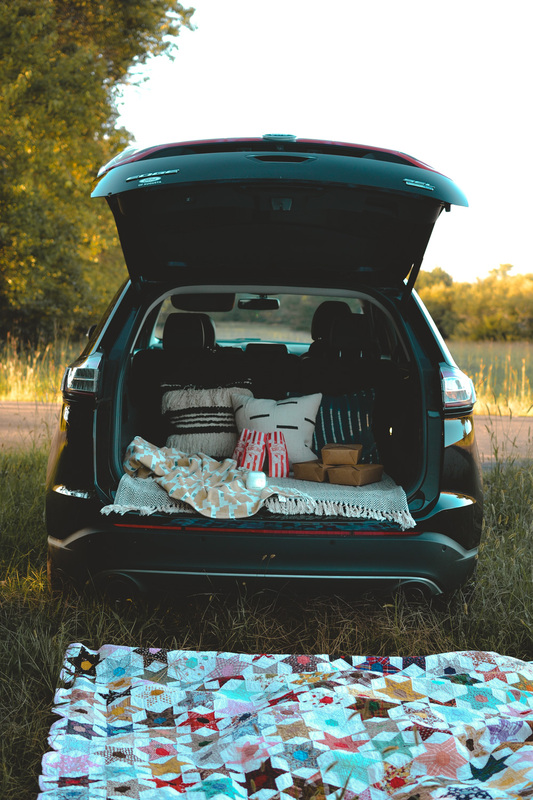 So last Friday night, we packed up the car with our CINEMOOD, blankets, pillows, snacks, and individually packed picnic boxes, and we set off for a movie night. I got these little boxes at Hobby Lobby, and packed them with sandwiches, fruit, cheese slices, and mini pies for our family picnic. They were a fun little way to contain everything for travel without needing to bring plates, and everything was finger foods so no need for silverware. This little gadget we brought along was the key to everything. I’ve been using our CINEMOOD all summer to occupy B while I cook dinner or get some chores done, and I love how portable it is. I charged it the morning before we left and loaded it with a downloaded movie. It was super easy to just turn on and cast onto the side of the barn. I had it on the edge of the car for a bit, and then our busy toddler wanted to explore a little while we watched, so I just picked the CINEMOOD up and handheld it for a bit to avoid pigtails in our projection ;). This has been the best gadget I’ve had all summer, and I’m excited to use it for cozy nights ahead at the farm, in the car, snuggled up watching holiday movies, etc. 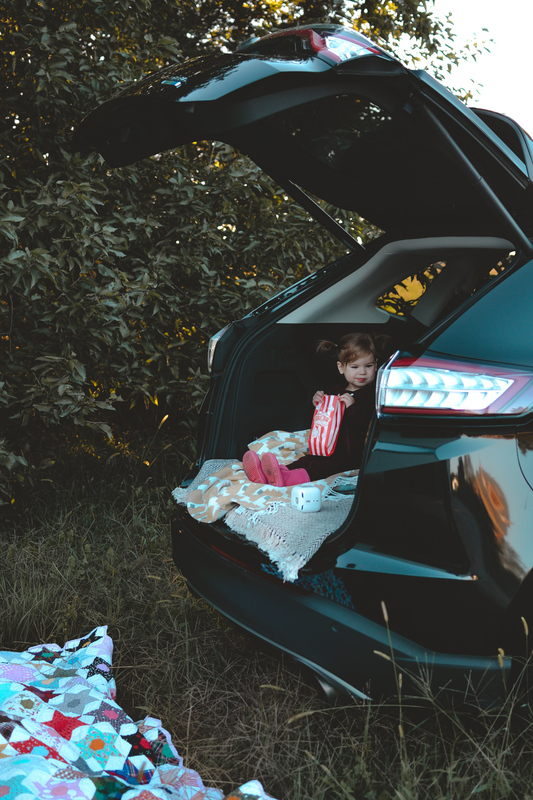 B’s constantly on the move, and, this makes it really easy to enjoy a movie as a family without getting stuck in one spot. It’s so light and portable, you just pick it up and point it somewhere else. We’ve been exploring all the pre-loaded content that comes with the CINEMOOD, lately, and it’s stellar. B literally asks for some of the shows by name now. Charlotte’s Web at the barn just felt like the right choice - also I always cry at the end with the tiny spider babies. You can pre-order CINEMOOD on their website for $100 less this week + get a cute free cover ($50 value) with your purchase using my code ANDSOTHESTOREYBEGINS.